Moore Station Village is Dublin’s first planned community designed to serve as home-base for residents at all stages of life. 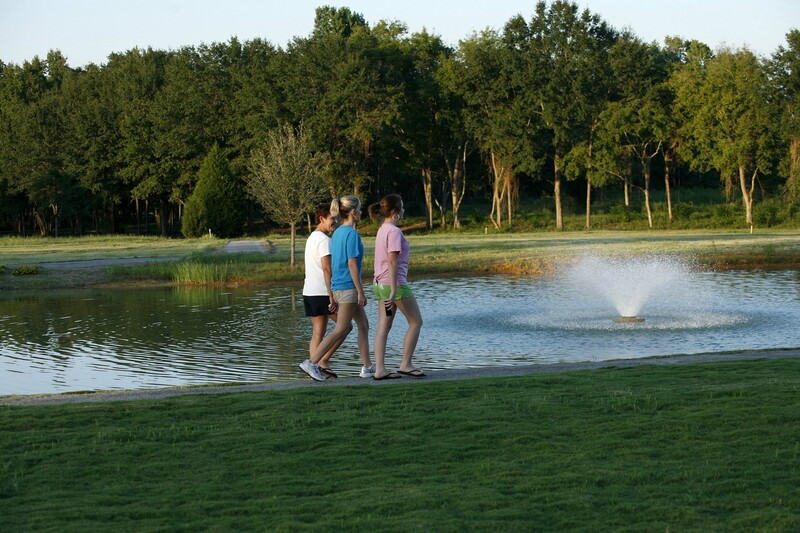 As you would expect from one of the best adult living communities in Georgia, we offer an incomparable menu of amenities, allowing residents the freedom to enjoy an active lifestyle in the heart of Middle Georgia. The Village Center is the heart of it all. The Center is a 4,900 sq. 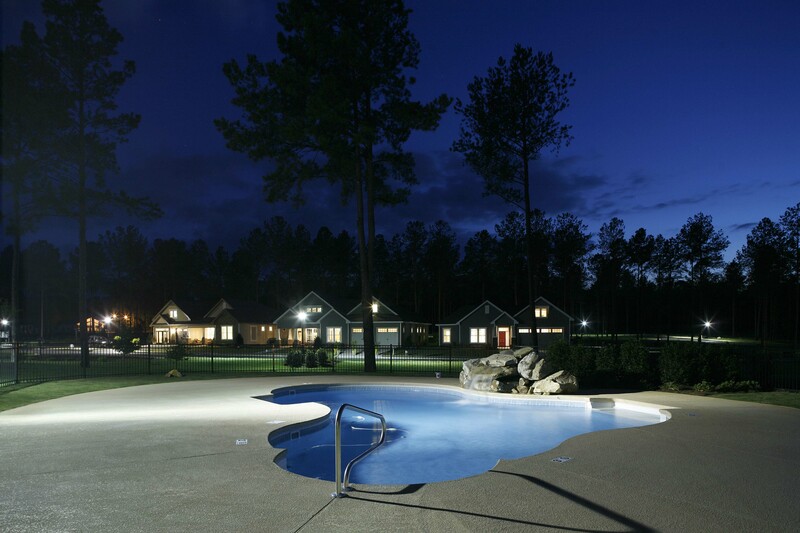 ft. clubhouse – a community gathering place for residents, friends, and family. 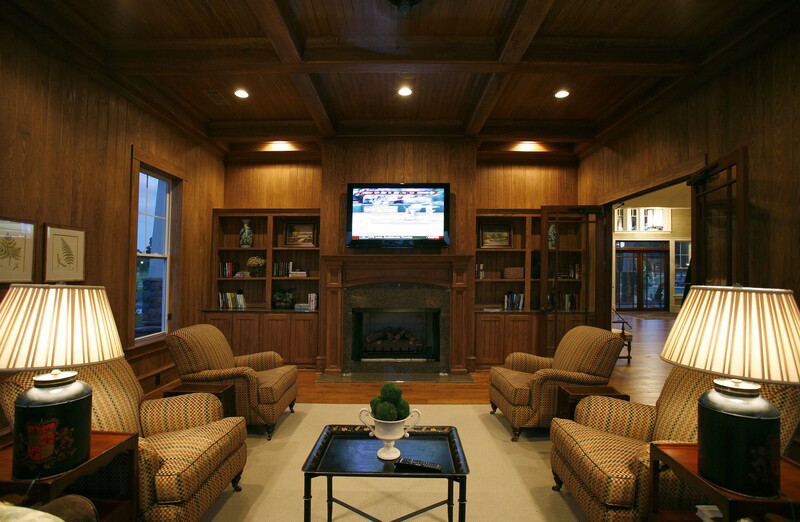 Casual and comfortable in every season, the clubhouse is available for special events or impromptu gatherings. At The Village Center, you’ll find a gathering room with stunning stone fireplace, gourmet kitchen, library, meeting room, fitness center and game room. Outdoors, we’ve built a trellised covered porch and free-form pool with unique rock and water features plus a large deck for sunbathing or entertaining. Beyond the Center, you’ll find countless opportunities for recreation and relaxation. 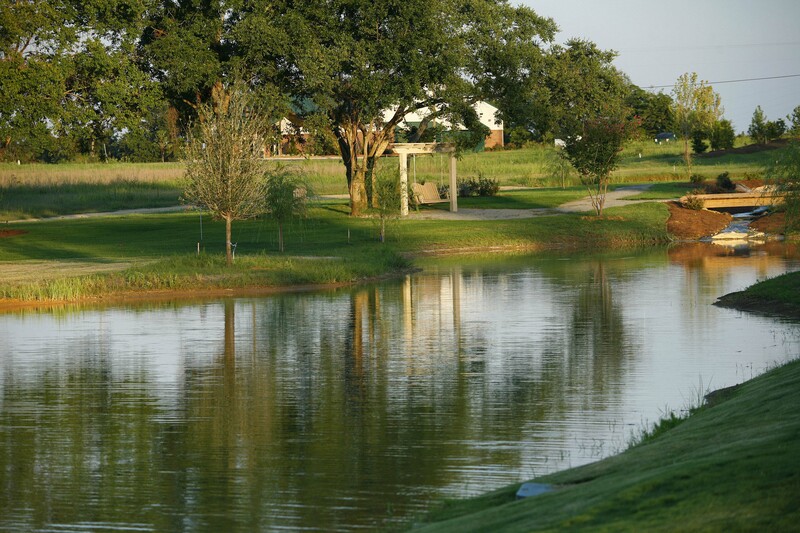 Fish from our stocked ponds, roast marshmallows around the fire pit, practice on the putting green, toss horseshoes or play fetch in our large dog park. 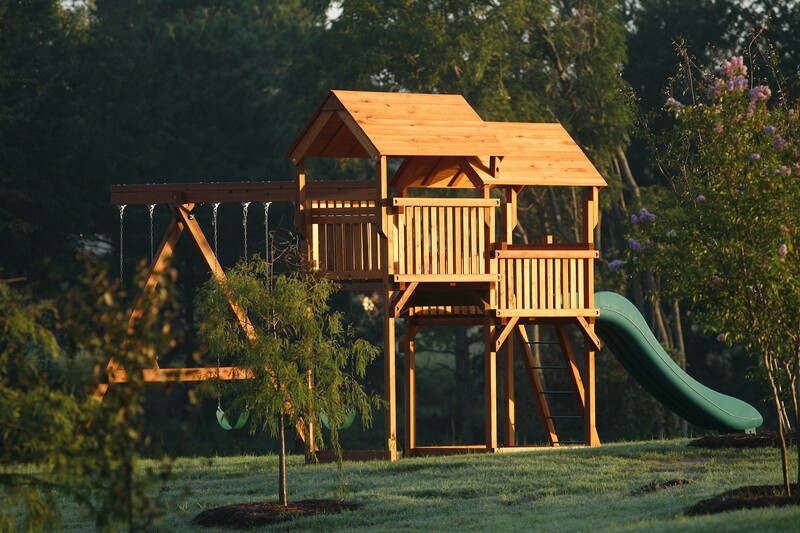 We also offer a tot lot, community garden, walking trails, parks and extra wide sidewalks. Homeowners enjoy the perks of maintenance-free lawn care and a neighborhood security system. But most importantly, Moore Station Village is the kind of community where you’re free to relax and enjoy the simple pleasures in life. At The Village Center, you’ll find a gathering room with stunning stone fireplace, gourmet kitchen, library, meeting room, fitness center and game room. Outdoors, we’ve built a trellised covered porch and free-form pool with unique rock and water features, plus a large deck for sunbathing or entertaining. Dublin and Laurens County is a great community. Local restaurants, parks, clubs, and many other features provide amazing opportunities to go out and get involved, and create an atmosphere that is truly unique. We’ve linked to several sites for you to get a feel for what is available throughout the area. If you’re interested in making Moore Station Village your new home, then visit the following link to see what homes are currently available!